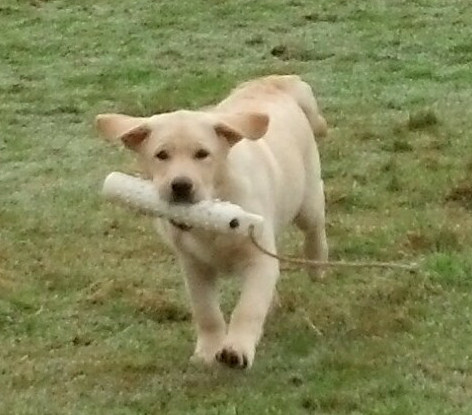 I LOVE my field Labradors! I love watching them run/work as HARD as they can whether it is in the duck blind, at at hunt test, or in Agility but… I thought I needed to try my hand at working with a show dog! In the past I’m sure I’ve told people that I would never have a show dog (they have their place) they just can’t keep up with a field dog! Well as they say, “never say never”! So meet Tulip the Show Dog! What she lacks in speed and agility she makes up for in beauty and personality, she trumps the field dogs in that department any day! The real reason I have Tulip is for my mom. 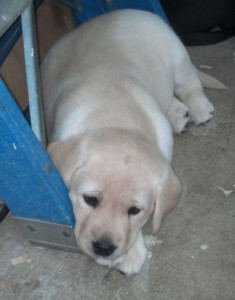 She needs a calmer Labrador and has always wanted a yellow Labrador. So I picked my mom out at nice show puppy (Tulip) from a friend’s kennel. Tulip is out of Euro Winner, Pol. Ch, Am. Ch., Cz. Club Winner, Lit Winner Arlon Hyspire Bohemain Ink, “Hemi” (I don’t even know what have those titles mean lol) and Dolce Vita in a Web of Excellence, “Charlee”. Probably the only perk of having a daughter that trains dogs is that she will start your puppy for you and she LOVES doing it! She will potty train it, socialize it, and in this case even take her to handling class! While I don’t do every dog sport with my dogs but I’ve done a lot! I am taking Agility classes at Everything Canine in Portland Oregon, I compete in AKC Rally, I obviously do AKC Hunt Tests, I’ve done a little nose work and just recently have even participated in the new sport Barn Hunt. But, what I haven’t done or honestly ever thought I wanted to do was enter the “Show Ring”! The main reason I have never thought about the show ring with my Labradors is because they are field labs not conformation/show labs so they would get laughed right out of the ring! But now, I have Tulip and the Labrador National is on the West Coast this October so I thought I better get training…how hard could it be they just stand there!?! 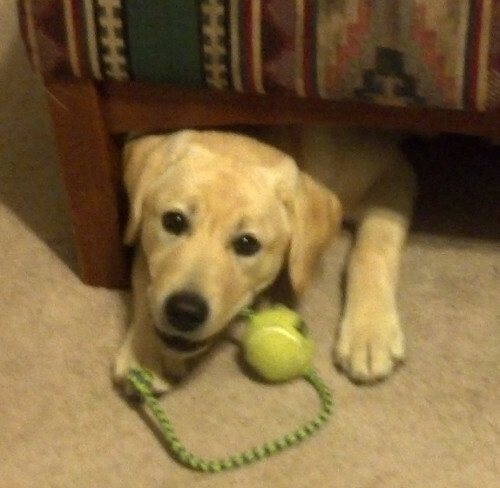 Well let me tell you it is pretty damm hard to get a fun loving, happy, silly, Labrador puppy to stand with out moving! And, I have to her feet in the right place (I can never tell if they are?). 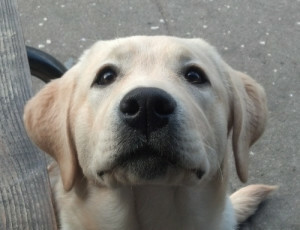 Besides attempting to practice at home we are taking a Handling Class at A Dog Gone Good Place in Hillsboro, Oregon. After our first class and being shown up by a six year old boy and his dogs we have been practicing more and are getting better…I think? Well I guess I better go practice stacking Tulip so I don’t embarrass myself too much at the our next handling class!